Ayuh! A Biggun! Wicked Lotta Hohns Too! There are 5 more days, including today, to hunt whitetail deer in Maine. 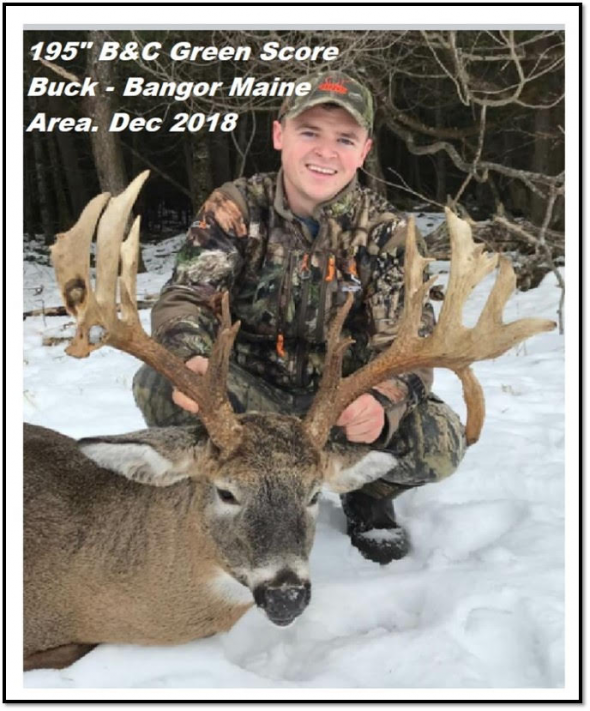 With the Maine Department of Inland Fisheries and Wildlife’s (they must all be on vacation) new digital, instant tagging technology, we have been told that Maine’s deer harvest so far is…ah…er…well. Maybe next year. God, technology is a beautiful thing! Saturday afternoon I returned from my annual deer hunting trip to a remote hunting camp in Western Maine. The verdict, from my perspective, is that very little has changed to improve the deer hunting there. Maybe even global warming – with two days of snow (snicker, snicker) – hasn’t made many improvements. If you believe the hype the Maine Department of Inland Fisheries and Wildlife (MDIFW) is putting out about how Maine has so many deer now you’ll be tripping over them, then I have a bridge in New York City I would like to sell you at a fair price. How does one keep a straight face to be able to, in one breath, speak of how the new deer management scheme will consist of reducing the deer population in Maine to around 230,000 deer (down from around 350,000) and then send out press releases stating more deer than you can shake a stick at? And speaking of press releases…One full week into the regular deer firearms season and the MDIFW armed with their hi-tech digital deer tagging system, and all we hear from the department is about a fish netting project. IMPRESSIVE!!!! But back to my week at deer camp. The weather was horrible for the week but I hunted faithfully every day. I thought that perhaps things had improved when on Monday, two minutes past legal hunting, two does emerge from the deep woods onto the powerline where I had been sitting in my blind for two hours. On Wednesday, I was still hunting a section of heavy beech, where the leaves still have a death grip on the trees, when I spotted a nice doe, about thirty yards away staring me down. We exchanged stares and I tried my best to grow a set of antlers on her head. For the next hour, she stayed just ahead of me trying to figure out what I was doing. There were six hunters covering the woods every day from sun up until sun down and those three deer were the only deer sighted. The general consensus was that there seemed to be more indications of more deer but sighting them was impossible. Maybe there are spots in the state where deer numbers are up but not everywhere. It was my 32nd year at Hunting Camp and there have been many, many, changes to the habitat in that time. In that time, there has been nothing that an honest assessment would uncover that might lead one to think the climate is changing. Some think the climate is warming causing all sorts of weird things in the woods and yet at the same time of year every year, we seldom have snow to hunt on. However, in the past 5 years, we have had snow to hunt on the first week of deer season twice. Global warming? No more than it is global cooling. When MDIFW decided to lower the deer population management goals by more than 100,000, it wasn’t due to anything scientific. It is political and a form of outcome-based Scientism. In other words, the department is mostly incapable of growing the population of anything unless it happens by chance. Similar to lowering the standards of education in order to improve graduation rates, to lower the deer population goal this drastically is a means of dishonest deception. I still have three weeks to hunt deer. I am in hopes that during part of that time I will move to areas where there seems to be more success at tagging deer and hopefully my odds improve. Once upon a time, deer hunting season was the ultimate in getting away from the everyday hustles and bustles, finding some solitude in the woods, and stalking a whitetail deer in my favorite hunting grounds. I suppose that with age the excitement of the event has been tempered but there’s something more to it than what it once was. Maybe I can point out some obvious differences. Deer hunting in Maine was once an all or nothing, statewide event. Even if your neighbor didn’t pick up a rifle and head into the woods, he was with you in spirit. It seemed everyone wanted to know “Did ya git ya deeyah yet?” Today there are more and more people who feel compelled to end that long-time heritage mostly due to the wants of protecting the animals that are pursued. Surely participating in an activity that fewer people approve of takes some of the wind out of your sail. 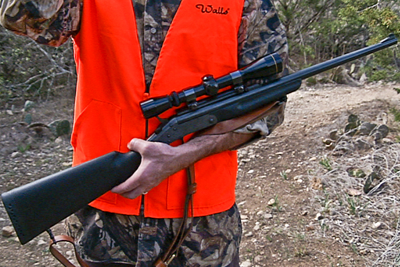 A second issue is fewer places to hunt. A growing epidemic in this country is the escape of many from the urban jungles of which they have come to despise, moving to the smaller communities in more rural settings and immediately setting their sites on making their new home just exactly like where they escaped from. Along with this senseless action, and a dislike of the traditions of rural Mainers, these selfish, greedy people immediately post their land. Surely knowing there are fewer places to hunt now and the attitudes that go along with the reasons for posting lands, takes some of the wind out of your sail to get out in the woods at daybreak to meet that buck attempting to sneak back to his hiding place. Another truth that takes the wind further from my sail is the fact that there are fewer and fewer deer. Where once the Maine Department of Inland Fisheries and Wildlife (MDIFW) openly and proudly attempted to manage deer in numbers that would give as many hunters as possible a respectable chance at harvesting a deer, today the deliberate action is to manage for as few deer as possible, while using the excuse that a few “healthy” deer are better than higher numbers to keep the hunters happy. Yeah, I know. Doesn’t make a lick of sense to me either. Instead of “Did ya git ya deeyah yet?”, the more common comment of today might be, “Have ya seen one yet?” You can’t argue that fewer deer to hunt on less land makes you question the need to even raise your sails. So, here we are but just two days away from the first day of deer hunting season in Maine (for residents only). The weather has been cold and snowy for the past few days – an uncommon event even for Maine (must be the global warming). Add to all of this the fact that last Saturday morning I awoke to the sound of my water pump running only to discover that due to a prolonged drought that began in this portion of Maine in the Spring, my well had gone dry. Now I’m carrying containers of water from the town’s public water hose, flushing the toilet with a bucket of water and taking sponge baths instead of a nice hot shower. The idea of leaving for hunting camp for a week and leaving my wife here to take care of the water issue, makes me even wonder if I ought to go. What’s going on? Things certainly are not the way they used to be and with age, those changes come harder and harder. Where once NOTHING could keep me from hunting camp, now I’m searching for reasons to go.